In November, we announced that Reg the (hornless) Indian one-horned rhino skeleton was being dismantled and taken away for an extreme make-over (read Dismantling Reg the Rhino in Ten Easy Steps). Now he has returned in much better shape (specifically, rhino-shaped), prepared for a long and prosperous future in the Museum. The rhino after treatment. We hope you’lll agree he is much more rhino shaped. 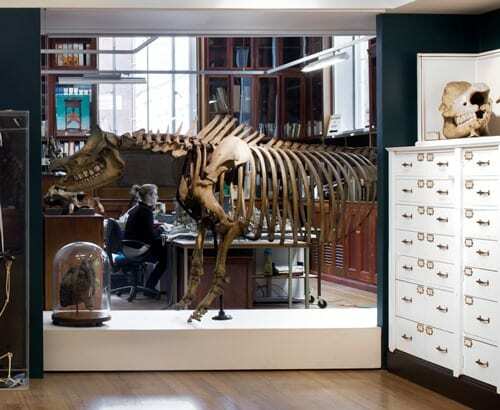 The rhino was among the first specimens included in our huge conservation project Bone Idols: Protecting our Iconic Skeletons, which will secure the long-term future of 39 of our biggest, rarest and most significant specimens. Some will be cleaned of 180 years of particulate pollutants, some will be repaired, some have new cases built, and some, like the rhino, will be completely remounted. What was wrong with the rhino? On 10th November the Grant Museum team took on the giant task of dismantling the largest specimen in the Museum – our huge (hornless) one-horned rhino skeleton. This is one of the first steps in our massive conservation project Bone Idols: Protecting our Iconic Skeletons (click the link to read more about it and how you can support it). In this previous post I described the the history of this specimen and what conservation work will be done to this invaluable specimen. 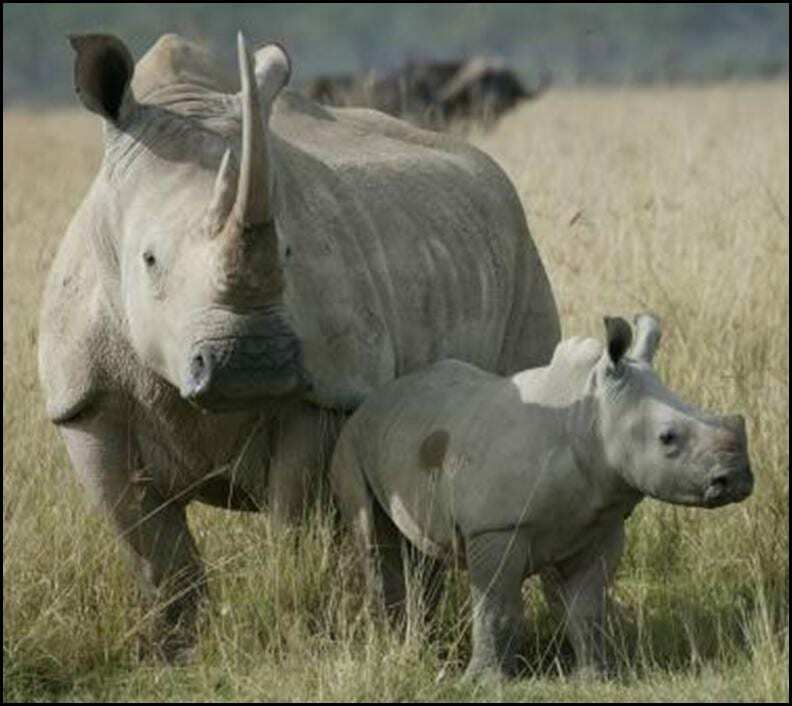 We also set a Twitter competition to #NameTheRhino – he shall now be known as Reg. Full details about that at the bottom. How to take apart a complicated massive skeleton, in ten easy steps. This was all coordinated by skeleton conservator Nigel Larkin. 1) Label every bone and photograph everything so Nigel knows where to put them when Reg gets rebuilt. Something very exciting has started here at the Grant. We are undertaking a major project to protect 39 of our rarest and most significant skeletons, some which have been on display in the Museum for 180 years. To help achieve this, we launching our first ever public fundraising campaign – aiming to raise £15,000 to support the costs of this crucial work. The specimens include the rarest skeleton in the world: the extinct quagga – an unusual half-striped zebra from South Africa. 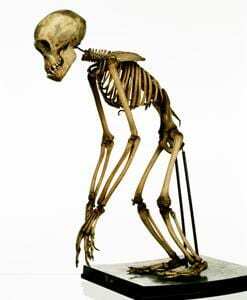 It is the only mounted quagga skeleton in the UK, and no more than seven quagga skeletons survive globally. The project involves completely dismantling and chemically cleaning the irreplaceable skeleton, and then remounting it on a new skeleton-friendly frame in a more anatomically correct position. The work is intended to secure the long-term preservation of the specimens. The rhino in the Grant Museum – what’s his name? The largest single specimen in the Museum – our (hornless) Indian one-horned rhino – is about to go on holiday. He is going away for some serious conservation work. You might call it health tourism. 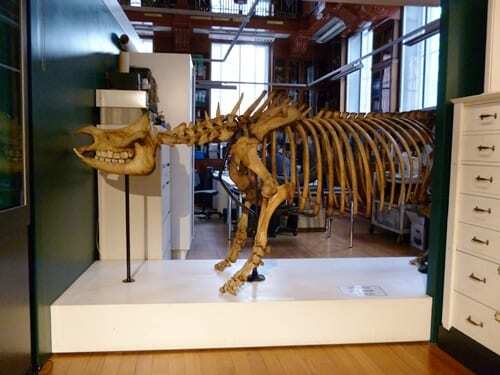 The rhino entered the Museum as an un-mounted skeleton in 1910-11 when the University of London Loan Collection was disbanded. The Museum then paid £14 to have him, the seal, the bear and “a zebra” (possibly the quagga) mounted onto iron frames. Since then, the rhino has been on open display in the Museum, and the iron is slowly corroding. This year, as part of a major project called Bone Idols: Preserving our Iconic Skeletons, 39 of our largest specimens are undergoing conservation treatment. Some need intensive cleaning to remove the damaging pollutants and particulates that have built up over up to 180 years on open display; some also need repairs to certain body parts. Some, like the rhino and quagga, need to be totally disassembled, cleaned, and then repositioned on new skeleton-friendly metal frames, with all his joints correctly matching up. All of this work will allow us to safe-guard our irreplaceable collection for the long-term future and continue to use it every day for teaching, research and public engagement. Let’s call a spade a spade. If you look at a rhino I mean *really* look at it, go on don’t be shy there’s one right there, it’s a weird looking beast. Its great big head has tiny little eyes and its massive bulk makes it a formidable animal. The most rhino-y feature is of course the horn. A lot of animals have tusks, antlers, or maybe even horns, but no other species stumbling through evolution on a cold Pliocene day thought “I know, I’ll take this horn of mine and pop it onto my nose, hah haaah, that’ll impress the ladies”. No, they are unique. The rhino is a truly remarkable and remarkable looking animal.